» Forum » All Pinball » Which game to get color DMD in my collection? » Which game to get color DMD in my collection? Which game to get color DMD in my collection? Wondering which game or 2 would benefit most from upgrading to color DMD, options will have list of games and current DMD color, which should get it? Already have Congo full color and really like it but want to keep it on half or less to keep it special. Metallica and Simpsons Pinball Party. Just get all them upgraded.....it's the only way. Stern games that have original art/animations look the best with color dmd . Cartoon pins always seem to look great with color. 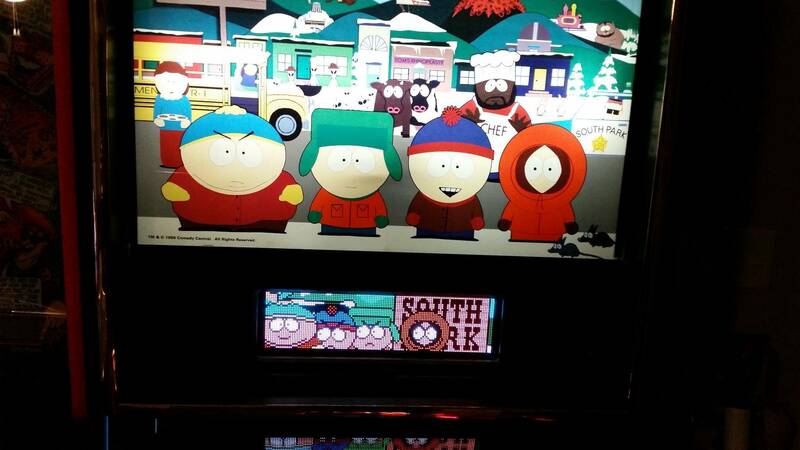 Simpsons, South park, and games like Rocky and Bullwinkle. I voted TSPP, SP would be my 2nd choice, but I'm biased due to ownership. Just sayin...2 is not enough. Definitely TSPP and I think one would look good in lord of the rings. Buy one and try it in all of them. I just installed a color DMD in my Metallica Pro and it really makes it pop. Definently iron man. Its the only game you have with movie clips and movie clip dmd games REALLY need a colorDMD. It makes a huge difference in pins that use movie clips. I would give LOTR a close second. I’m thinking Simpsons and 2 more to get that free shipping! Met first, then LOTR. LCD all the way. Wise choice. Good thing is that you have all Whitestar/Sam games. Only difference in games like AC/DC, Iron Man, and MET, you have the red plexiglass in front of the DMD to replace with a clear one and whether or not these 3 games have the slanted metal speaker panel, which you would need the extra spacers for those. That aside, you would be able to swap between any of these games since they use the same power cable adapter that comes with the kit. So if you get curious, you can swap and see how much of a difference the color makes the other games better too. Happy coloring. Metallica looks damn nice in color. But yeah, you can't do just one. I just installed the lcd for Metallica and love it. I agree buy three and save on shipping. Also they are interchangeable for the most part you just have to update the Correct Rom. Buy three and then try it out in all games and see what you like the most. Not even close. MET by far makes the biggest difference. Can't even look at the game without color. It's a absolute crime. Metallica was the one that made me get off the fence and buy my first Colordmd. It’s definitely fantastic, BUT IMHO Iron Man is the one that makes the most difference from mono. Sure, Metallica in one color is drab, but you can tell what everything is! The video clips in iron man completely com alive with the Colordmd. They go from blurry ‘what is this mess’ to defined and awesome. interesting - not really into IM but will keep in mind. Good point. Same exact thing with GOT. I saw so many scenes for the first time when I put color in my GOT premium. It was like a new game to me! I voted Metallica because it has imho the best dots Stern has ever done and they look great in color. But I agree that Iron Man benefits the most. If you do 3 I’d do those 2 and TSPP. great responses so far, Leaning towards MET , TSPP, and then IM or SP or LOTR? 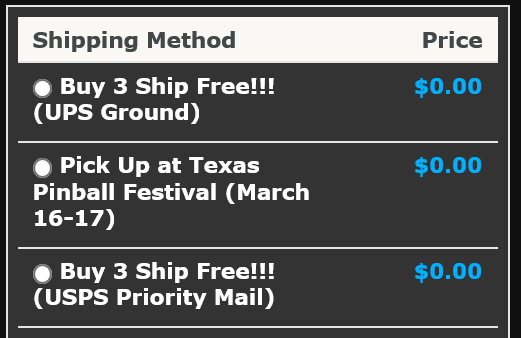 they doing free shipping to NW pinball show or only Texas? Great idea on the first two! Agreed that's why I voted Simpsons too, its a more valuable game to put that kind of loot into.